Potato sheera is made usually on fasting days. It is very easy to make and really very delicious. Pistachios / almonds .. few for garnishing. 1. Boil the potatoes. Peel and cut them into small pieces. 2. Heat ghee in a pan and add the lightly crushed cardamoms. 3. When they give out aroma, add the potatoes and saute for few minutes. 4. Add a pinch of saffron and sugar. 5. Keep stirring until the sugar is absorbed and the sheera starts to leave the sides. Garnish with saffron strands and chopped nuts. 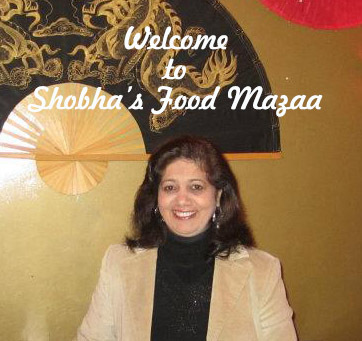 This is such a fantastic idea Shobha! Have never thought of making sheera with potato! Yes Naina.. mom used to make it during the fassting days. We do something similar with sweet potatoes and make them sweet. Just made a batch over the weekend as they are a favorite around here! What a lovely idea, it looks really yummy! Looks amazing! what a lovely and glazy texture. So appetising !